Branch 157 of the Jiadeli supermarket chain is a good place to go if you want to check out the latest demand levels of your favourite basket of food, drink and household items. The wine aisle is always one of my first ports of call, not least because regular visits there provide a good indication of just how much urban Shanghai residents' tastes and consumption patterns have changed and are changing. 15 years ago, in local supermarkets such as this, wine was hard to find. If you did manage to track it down, the likelihood was that you would have found what is known in these parts as yellow wine (a local speciality) before you caught sight of a bottle of ‘red’ or ‘white’. Of the brands of grape wine, it was most likely that no more than two would have been on the shelves – locally-produced Dragon Seal and Dynasty were the most likely to be spotted – each occupying a negligible amount of shelf space with just a small number of bottles of a collective-handful of varieties. Having said that, someone eyeing the selection of reds and whites in 1996 – as meagre as the options would have appeared to anyone from a country with a mature wine market – would actually have been spoilt for choice… compared, that is, with the choice available at the same supermarket just a few years earlier. A friend of mine was so struck by the change that he was moved to write home with the wondrous story of how he could now buy a “half-decent” bottle of local wine in a local supermarket. 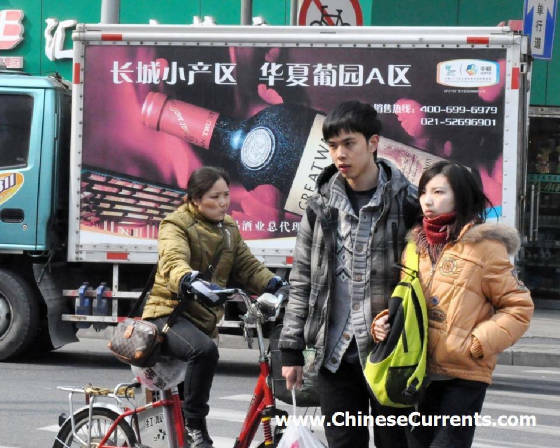 As is so often the case in China, it was a government policy that had been the catalyst for the change in consumption habits. In 1996, the then premier Li Peng presented legislation to the party congress that set out the stimulus package to help wine growers. He also spelt out the benefits of wine drinking, compared with the evils of the consumption of baijiu – the white alcohol, favoured by a large proportion of China’s hard-drinkers. The government of the day was as much concerned about land-use as it was about the nation’s health. Mr Peng went to some trouble to point out that annually 25 billion kg of grain were required to satisfy the nation’s baijiu habit (two kg of grain are needed to distil one litre of baijiu). Whereas – as Mr Peng pointed out – grapes could be grown on less fertile soil, as well as on hillsides. Such was the pace of development that, in 1997, I also noticed that red wine was beginning to be sold by small grocery stores in a small town in Hebei province, in northern China. The main wine brand ‘up there’ was Great Wall. I had sampled wine in Shanghai before – the aforementioned Dynasty and Dragon Seal to be precise – and I have to say that I was underwhelmed (to the extent that I had only tried each brand on a couple of occasions). There was, though, something about the cleanness and modernity of the Great Wall label – a far cry from the pretentiousness of the two other brands’ labels – that persuaded me to give it a try. Then again, perhaps it was the Great Wall iconography: steadfast, trustworthy, long-lasting (as opposed to fly by night) that had subconsciously allayed my health concerns (eating or drinking something made by a company I had never heard of was more of a concern back then). Or perhaps it was because Great Wall was produced in my ‘home’ province of Hebei, and I felt some kind of duty to at least try it. Whatever the reason, I decided to buy a bottle. Not only did the guinea pig live to tell the tale, I was so impressed by the taste that I returned to the same small shop to buy, as a Chinese New Year gift for family and friends, a case of it. I remember that the price for 12 bottles was 288 yuan – about the same price then as a single bottle of a good-quality imported red wine. In the field of Chinese numerology ‘88’ is about as good as it gets, so I took it as a good sign that the gift would be well-liked. In fact, they enjoyed it so much that I was convinced that red wine generally, and Great Wall red wine in particular, would enjoy a very bright future in China. As its name suggests, Great Wall wine is grown on the hillsides beneath the best-known icon of Chinese civilization. The company was originally called the Shacheng winery, which was set up in 1949 – the most auspicious year in Chinese history thanks to the communist party’s proclamation that year of the founding of the People’s Republic of China. So, with such a fine alignment of the stars, it’s safe to say that, in China, red wine doesn’t come any redder than this. Fast forward 60 or so years, it’s clear from its significant share-of-shelf in ‘branch 157’ that Great Wall is hugely successful in Shanghai – China’s most highly-developed city (judged by many factors not just wine consumption). There were hundreds of bottles of Great Wall on the shelves, of 18 varieties and prices ranging from 28 to 71.8 yuan – a far better showing than its nearest competitor, Changyu (which, in 1892, in Yantai, Shandong province, was the first commercial winery to be established in China). In this local store, Chinese-produced wine occupies 95 per cent of shelf-space. Great Wall accounts for close to 50 per cent of all bottles on display. Great Wall has invested heavily in the Shanghai market. The most notable illustration of its marketing acumen – not to mention political influence – was and is its victory in securing the exclusive right to be named “Official wine of Expo 2010 Shanghai”. This accolade did wonders for its reputation in China and beyond (its growing success in export markets was cleverly leveraged to improve its reputation at home). Given that red wine lasts, Great Wall’s Shanghai Expo legacy will live on for years via its premium-priced special edition (see photo). Many sets of category-growth figures in China are impressive, but the growth pattern in the wine category has been nothing short of astonishing: In 1978 – the year that China ‘opened-up’ to the outside world – just 6,000 litres of wine were produced on the mainland. In 1995, just before wine production received the much-publicised government-sponsored fillip, 346 million litres were produced (15 per cent of which was exported). It would take 13 years for production to double (698 million litres in 2008, according to the China Food Association). The really rapid growth phase, though, was as recent as 2009 when production increased by 37.5 per cent year-on-year to 960 million litres – thanks to red wine drinking becoming fashionable among a critical mass of China’s young, urban, upper-middle income group. A more affluent group of drinkers (also young and urban, but higher-income than the purchasers of locally-produced wine) was, at the same time, driving the demand in the sub-category of imported wine. Figures from the General Administration of Customs (GAC) shows that 171 million litres of wine were imported in 2009, which is about 5 times more than was imported 5 years earlier. Import figures from January to November 2010 – 260 million litres – show that the thirst for imported wine continues to increase dramatically. Although the volume of imported wine is rising more steeply than the production volume of local wine, it remains to be seen how much of the imported volume is actually being stored (as an investment) instead of being drunk. It’s also interesting to have a look at the provenance of imported wine. Based on figures for the first half of 2010, when 120.7 million litres were imported, France was (probably) the leading exporter, supplying 26 per cent of total import volume. 94 per cent of French wine came in to China in bottles. Whereas wine from Australia (21 per cent of imports, the 3rd largest) was mostly (56 per cent) transported in ‘bulk’ (classified by the GAC as arriving in a container of 2 litres or more). The wild card in the pack is Chile, whose ‘bulk’ wine accounted for a whopping 24 per cent of the total reservoir of imports. There is no mention in the published data of the volume that Chile exported to China in bottles – but if 1.4 million litres were imported that would be enough for it, not France, to take the number one spot overall. That’s in terms of volume of course. When it comes to value of imports, though, there is no contest. France is number one by a country-mile (or kilometre if you prefer). So, then, it won’t be a surprise to anyone to read that it’s the people up in the top tiers of the wealth pyramid who are consuming French bottled wine. It’s also not surprising that, among wealthy people in China, France is the most admired country brand in the world and that many French brands are coveted because of their perceived excellence. The vast majority of wine drinkers in China are not drinking French wine, but that’s not to say that Great Wall drinkers and the like don’t aspire to drink it. Although the majority of wine drinkers aren’t able to afford French wine (yet), they are able to experience a category that enjoys a close association with the mystique and sophistication of Frenchness. 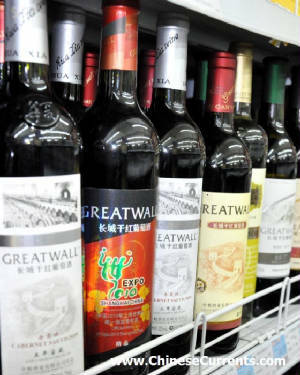 There are many who are now drinking Great Wall wine who will expand their repertoire to include French and other countries' wine brands; but there will be many, many times more people who will at some point in the next five years enter this aspirational category thanks to the accessibility of Great Wall and other local brands. As I have mentioned, the growth of the wine category has indeed been phenomenal. But, as I have indicated, there’s also a real sense that the show has only just begun... not least because wine sales per-capita in mainland China have not yet reached one bottle per year. After a quick calculation on the back of an envelope I arrived at the prediction that next year will be the year that China reaches the landmark ‘one bottle per year’ consumption level. To give you an idea of just how little this is, though, let me just say that in the UK, for instance, wine consumption is at about 27 bottles per year per-capita (according to the latest available figures from the Wine Institute). In France, in case you are wondering, they drink almost three times that number (76 bottles to be precise). This is an edited version of an article written in March 2011 .